Should You Use Free Load Boards? Free load boards are always in the eye of the independent owner operator, experienced or just striking out on their own. You start out with the goal of finding your own freight, knowing that your truck has to generate cash flow. Even after you succeed in finding that high paying head haul, load boards have a place in finding back hauls, and for keeping you loaded when that head haul shipper has a down week. I’ve always been an up front type of guy. It’s how I roll. At the end of this article I will show you how to get a free month to try out Doft Free Load Board, a subscription load board. Designed with the small trucking company and the independent owner operator in mind and powered by DAT, they’re as much a part of the fabric of trucking as Peterbilt, Kenworth or Freightliner. Free Load Boards, What’s Their Game? Trucking’s come a long way since the movie Steel Cowboy was made back in 1978. This was the same year the first load board was launched. 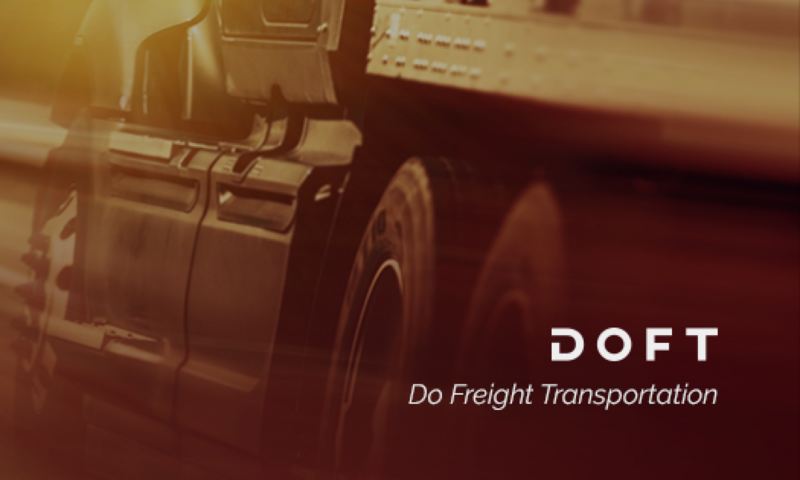 Known as Dial-A-Truck, it would drastically change the way drivers find freight. Back in the day it was mostly who you knew and how close you were to the nearest pay phone. Let’s face it. Truckers, shippers, receivers, even brokers and load board services are in it for the money. We call it business. It’s how we engage in commerce. It’s a good thing in a free country. Provide a worthy product or service and build a thriving business around it. Isn’t that what you’re trying to do with your trucking business? Most of us still enjoy the freedom and independence trucking has to offer. Ronald Regan called it rugged individualism. It’s the reason this trucker/blogger will never work for one of those big companies that want to micromanage my day. I’ll decide my route, fuel stops and other major decisions involved in getting the job done. The goal of the load board is simple. Match a truck with a load. That’s kind of a no-brainer. But how do load boards make their income? Three ways immediately come to mind. Charge a modest fee for posting the load. This could be done on as a monthly fee or on a load by load basis. Charge a modest fee to subscribe to access those loads. Again, this could be monthly or otherwise. Advertising other products or services on the load board site. If you’ve got traffic on a website, that ad space has value. How much value depends on the amount and type of traffic. There is actually one other type of load board that’s a little different. It really can’t be pigeonholed like the other three. This would be carrier load boards. Big companies like LandStar Carriers have enough spot market freight to keep the bulk of their freight brokering in house. I think the carrier boards could be a great tool, but not as a stand alone answer to finding freight. It’s just another tool in the box, best used in conjunction with other tools. It’s not my goal to link to a bunch of sites just to dis them. My point is to focus on concepts or business models of different types of load boards. I’ve spent some time looking at several load boards that showed up when I searched for free load boards. I also want to point out that all of these have a purpose. I also have no intention of talking about anything for a buck sites that seem to be the fodder of really stupid TV shows. The point of nearly any website is to generate traffic, then direct that traffic in some way. Freightliner wants to direct you to their dealerships. Smaller sites want to direct you to their products and services. The Trucking Podcast wants you to subscribe and listen to our show, and visit our sponsor and affiliate sites. But there’s one more place to direct traffic. Many sites use ad services like Google, and allow the service to decide what kind of ad to place on the site. Rather than being based on the type of site you’re looking at, like a vitamin ad on a nutrition website, you get an ad based on your search history. If you were searching out the latest fly fishing gear an hour ago, then search for free load boards, you could find an ad for a fly rod on their site. Here’s the bottom line on this type of site. If you pull it up and find ads that are totally unrelated to finding freight, they have a goal that’s different than yours. They don’t mind you clicking from their load board, going to that fly rod site and never coming back. That’s their business model. I’ve even been to one “free load board” site that had ads for other load board sites. Again, they have little control on those ads. We’ve already covered the carrier load boards. Now let’s look at other types of free load boards that could be worth your time. Keep in mind, if six idiots are doing a reality TV show about a free load board, it’s not worth your time. Let’s move on to the others. Again, follow the money. Many of the free load boards are there to draw business to something else. 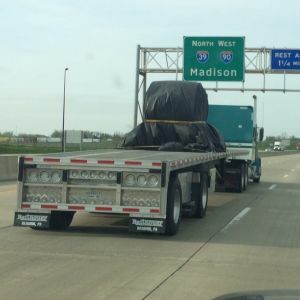 Maybe it’s a freight factoring service, or truck financing and insurance. In many cases they will charge you for services that might have been included in a paid load board service. Also, most free load boards are getting their loads from a load sharing service. These loads aren’t unique to their load board. They’re posted on several other boards. Some other free load boards will list a page of loads, but only give you access to a small portion. You’ll have to pay to discover the loads you actually want. If you’re shopping for a truck, you narrow down your options and find what you want. Then you go for a test drive. How else will you know if you really want it? Like a test drive, many load boards offer a free trial period to their paid service, 10 to 15 days seems quite common. Remember, I told you I was going to share an offer from Doft, the load board that brings you results and provides tools that bring you an exceptional value. If you’re a large company, you probably run with the big dogs in the load board field. You use DAT. They’re the largest and the oldest. If you’re an independent trucker, Doft Free Load Board would be a better choice. A product of DAT, you’ll find the most loads from brokers, shippers and carriers. You’ll have routing and trip planning tools. There are also two great tools to use in deciding who to negotiate with, and how much you should be asking for. Doft loadboard will give you broker credit profiles with a ranking of 0 to 100. Their average is 94. You will also get the average days to pay. No one wants to take a load without knowing if or when they’re going to be paid. One of the best tools gives you access to spot market rates. You have an edge in negotiating a better rate if you know what that lane is paying. As Ronald Regan used to say, “trust, but verify.” It’s hard to snow a trucker who knows the lane. You can follow the links here in this post to sign up for a Doft Free Load Board. Daniel and I look forward to hearing about your experience with the best free load boards like Doft Free Load Board. We plan on hosting at least one special episode every month, focusing on getting the most out of what this service has to offer.